Black Widow Sanctuary: A little halloween tip! Yesterday I was bored, and decided to make out bedroom a little bit more cozy. I added candles, little bats on the walls, self made dream catchers etc. I also wanted to do something else. So I looked up instructions for this! All you need is yarn and tape (or Blu tack.) Hmm I may have to add some more yarn on the top, but I'll do that later! I may also add spiders to it later. Also, sweet sweet fall. I can't love fall enough. All the pretty colored trees and the little places that look like a professional photograph. And I can burn candles alll evening. Some people hate when it's almost like winter but it almost is like not so they want the snow to come. I don't want the snow, I want it to be like this forever. Usually when the first snow comes, I my winter depression kicks in. Can we just skip winter please? Eep! 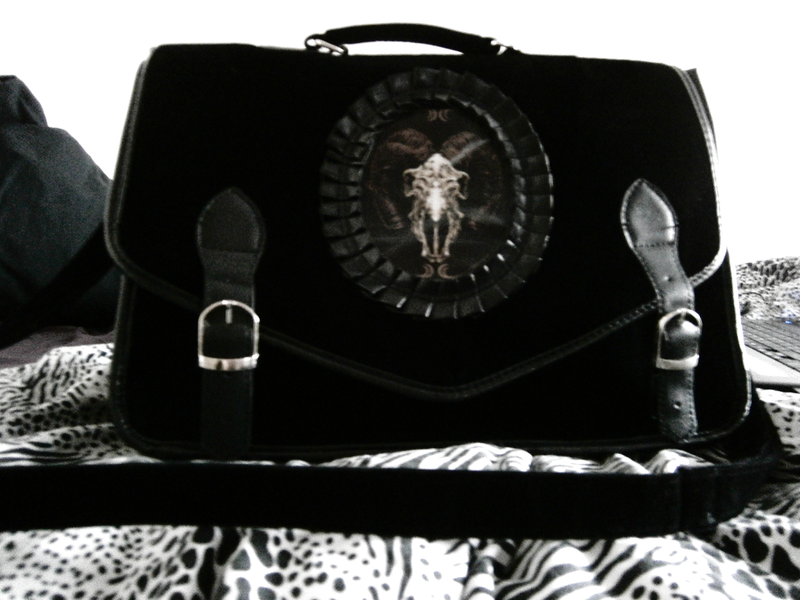 I bought this bag from a friend. I can't love it enough! It's a perfect size for school, so now it's my school bag. My old school bag.. Well.. It had a good run. I have used it since the beginning of 7th grade! It barely stays in one piece. 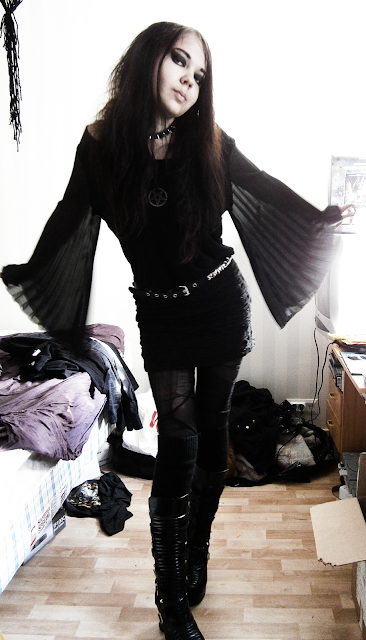 Hehee this shirt is awsome, I feel like I have little bat wings! Have a fun weekend everyone! I'll go packing since I'm leaving to go to my parents place today! Why do you dress goth? Monday - Oh, how I hate you!